Slim-leg tailored petite trousers, slightly more tapered than the Nicole trouser, as requested by our customers seeking a slimmer fit at the ankles. Flat-fronted with a discrete adjustable waist and side zip, these trousers are super flattering at the tummy, making the wearer look slimmer. 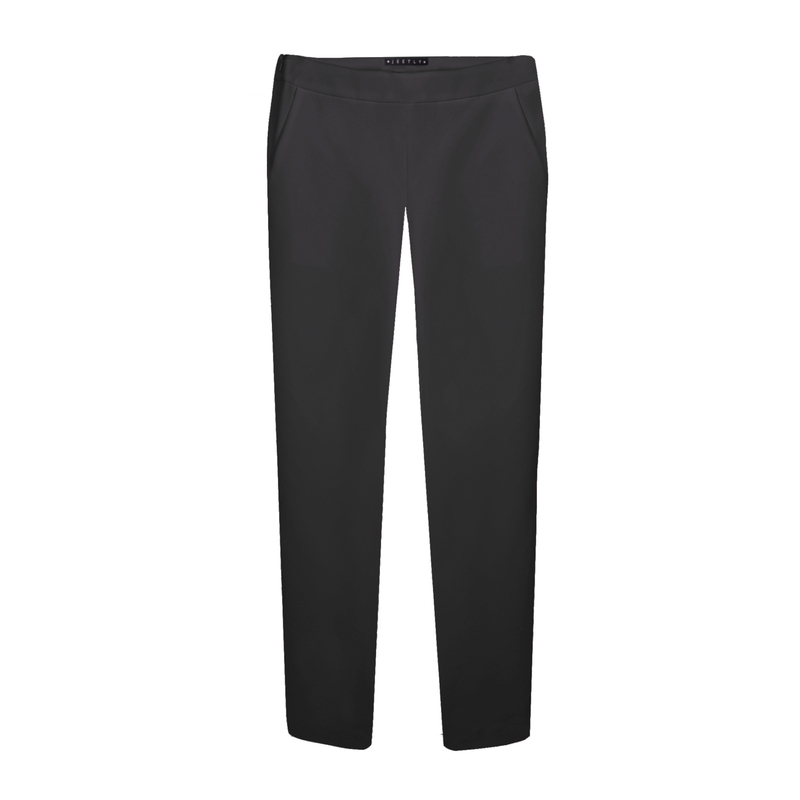 High-waisted to lengthen petites, these timeless black trousers in premium fabric will last in your work wardrobe for years. For practicality, your Celine trousers feature two side pockets and one welt pocket to the reverse. Machine wash at 30°c inside out with like colours, iron at a low setting, do not bleach, do not tumble dry. Dry clean for best results. Wear the Celine trousers as part of the suit or with a slouchy merino knit for a sophisticated weekend look.